Tim Coltart is responsible for reviewing and selecting land acquisition and development opportunities for Realty Capital to pursue. With expertise in entitlement, financial analysis, public-private partnerships, and construction management, he is involved all aspects of the development process. Tim’s creative approach enables RCM to move quickly and confidently in the pursuit of development opportunities and to see opportunities where others see challenges. During his ten years with Realty Capital, Tim has directed numerous residential, commercial and multi-use development partnerships including RCM’s current joint venture with Hillwood Communities developing Harvest, a 1,100-acre master-planned community in Argyle, Texas. Current projects include a Bear Creek in Euless, Harvest in Northlake/Argyle, The Domain in Garland, The Highlands of Northlake, The Main Street Lofts in Mansfield, High Point Oaks in Lewisville, and The Depot on Main in Burleson. Tim has worked with local municipalities to create multiple special finance districts and other Public/Private Partnerships to achieve common development goals. Prior to Joining Realty Capital Tim led an acquisition team for another residential development group in Dallas and spent a number of years traveling to all corners the world including sailing from Florida to Italy and crossing the African continent. 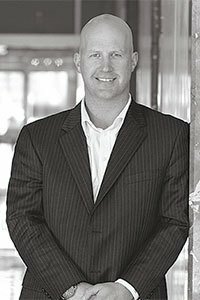 Tim is a graduate of Massey University in New Zealand with a Bachelor of Business Studies Degree in Real Estate Management and Development. He lives in Colleyville with his wife and 4 children.